Scientific sampling with Alvin can range from relatively simple procedures like rock retrieval to more complex data collection using specialized sensors. 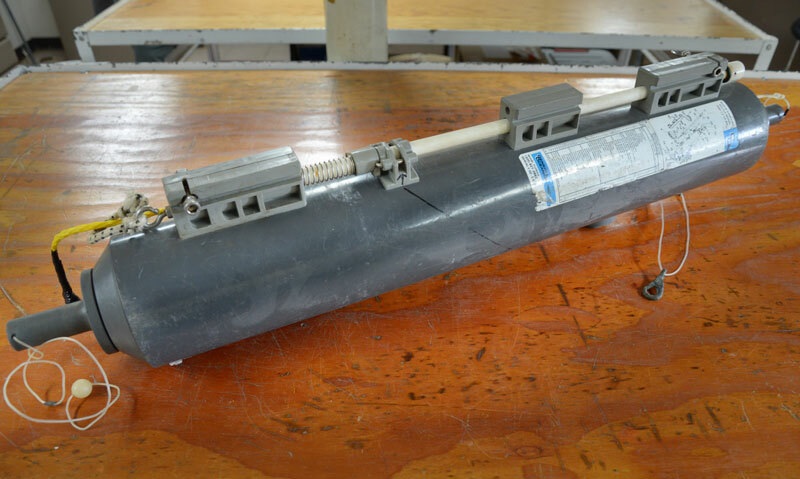 The submersible’s capability to interface with instruments, and the reduction in size of many external sensors, has enabled acquisition of a wide range of data types and greatly improved the quality and quantity of the data collected. 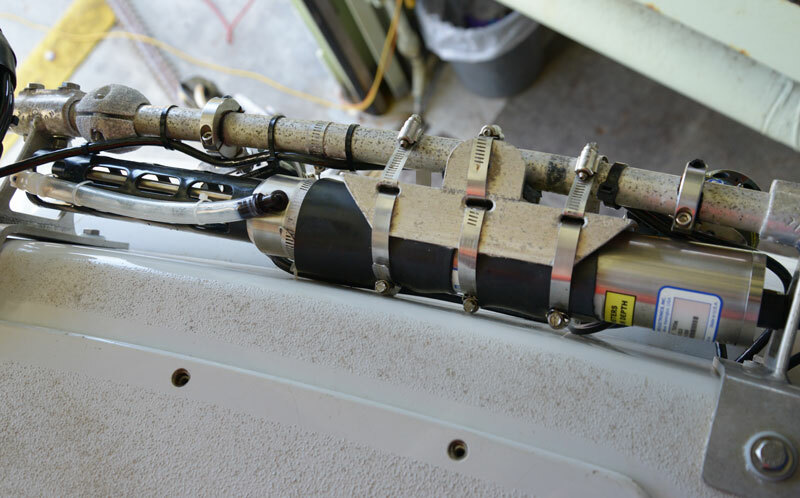 Although many of the sampling techniques used during dives have been developed and refined through years of practice, Alvin Group engineers are available to assist with the development of mission-specific sampling concepts. This may include discussion of in-situ experimental methods and sampling techniques, design of custom sensors, joint operations with other vehicles (e.g., AUV Sentry), use of sampling elevators, etc. The following are brief descriptions of the sampling gear routinely available for use by cruise participants. In most cases the samplers are resident on the support ship and available on short notice. In a few special cases there may be some lead time associated with preparation and availability of the equipment. In all cases the requirements to use Alvin-supplied sampling equipment must be made known to the Alvin Group as far in advance as possible during pre-cruise planning. Alvin’s standard biological sample boxes are constructed of 1" thick HDPE plastic and have a fully-hinged lid with a polyurethane tube seal. These boxes provide a reasonable measure of insulation and sample integrity. They are best used for robust samples as some mixing may occur during transit. Standard - 12” x 12” x 12”, 2 available. Alvin’s sensitive sample bio box is constructed of 1" thick black HDPE plastic and has a fully-hinged latching lid and a highly effective watertight seal. This bio box is purpose-built for sensitive samples that require a high degree of insulation and sample integrity. This box is reserved for sensitive samples and is not intended for general use. The SeaBird SBE49 profiling CTD measures conductivity, temperature, and depth (pressure) at 16 Hz (16 samples/second) as it travels through the water column. It features pumped and ducted constant flow for matched temperature and conductivity response, and measurements are made on the same sample of water with a predictable delay and predictable flow effects. CTD data can be used to calculate salinity, density, sound velocity, as well as other parameters of interest. The interface is RS-232. 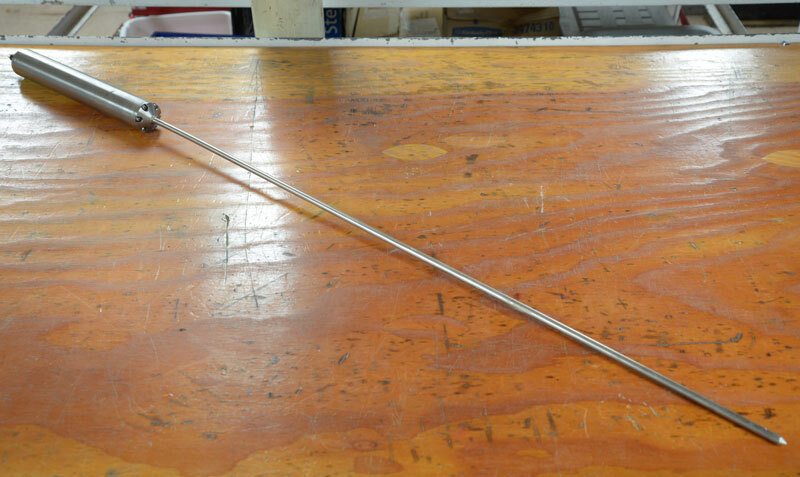 Alvin has two heat flow probes available: a 1 meter long five-element temperature sensor and a 0.60 meter long four element temperature sensor. 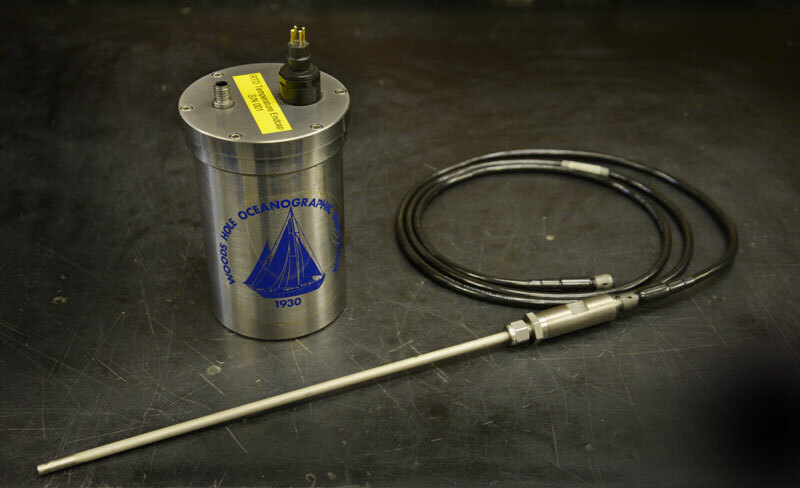 Both sensors are used to measure temperature gradients when inserted into soft sediments. Measurable temperature range is 0 to 40 °C, with 0.2 degree accuracy and .001 degree resolution. Additionally, a temperature pulse can be generated and monitored to observe temperature decay in sediments. Data from the heat flow probe is normally displayed on the observer's internal video overlays and is additionally recorded in the submersible's computer data files. Only one probe may carried during a dive. Water weight is 4 lbs each. Basket space is required to carry the quiver. 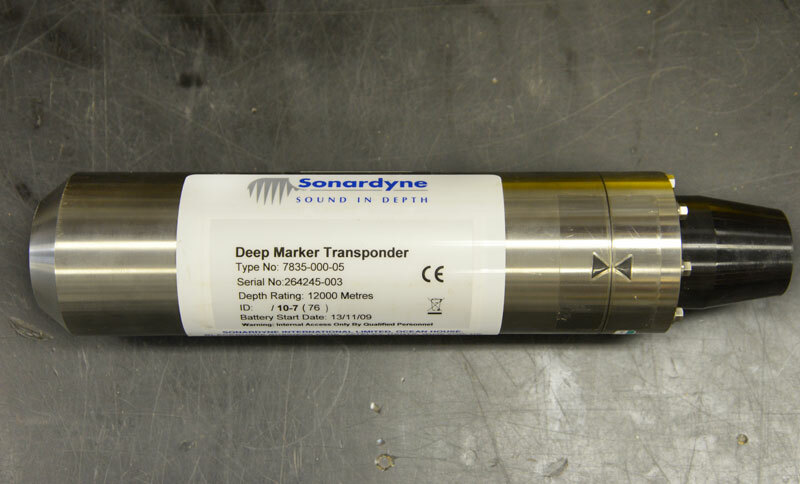 The Sonardyne Homer Pro beacon system allows fast, efficient relocation of underwater targets such as sample elevators and deployed or in situ sampling equipment. The system consists of an Alvin-mounted range and direction unit, control software and small, lightweight marker transponder beacons. Targets are equipped with a transponder before they are deployed. When the Pilot selects the target he wishes to 'home' to, the unit begins interrogating the designated transponder, determines its range and direction, and displays it for the Pilot, allowing the sub to be flown directly towards the target. Alvin has six beacons available, allowing multiple targets during a dive or series of dives, and a long battery life ensures the ability to retrieve them. This 4-axis instrument is based on the IFG Four Component Vector Magnetometer. It consists of a 3-axis sensor with a redundant Z-axis sensor to provide gradient. It has a range of over ±100µT, with data resolution of 0.1nT. Absolute accuracy is expected near 1µT. The instrument can be mounted in a variety of locations on the submersible. Most common is either in the submersible sail or the science basket. A total of two power conductors and one twisted/shielded wire pair are required to stream real time data into the submersible hull. Data from the magnetometer is normally displayed on the observer's internal video overlays and is additionally recorded in the submersible's computer data files. The magnetometer must be requested prior to the cruise. Instrument space requirement is dependent on location. If installed in the science basket, water weight is 16 pounds. This is a 3-axis magnetometer based on the Honeywell HMR2300 sensor. It is capable of measuring up to ±2 Gauss with <70µGauss resolution, at about 10 samples per second. Absolute accuracy is expected near 5000 µGauss. This instrument is commonly mounted on the port aft end of the light bar. These 760 ml syringe-style instruments have inert titanium housings with an inductively-coupled link (ICL) for in situ temperature measurements, and are capable of handling water temperatures in excess of 400°C. They are configured in pairs on Alvin, but can be triggered individually. A total of six major pairs are available at any one time, and require a dedicated mounting frame on the science basket. Water weight is 22 lbs/pair with ICL. Post-dive care and maintenance of this equipment is the responsibility of the science party. 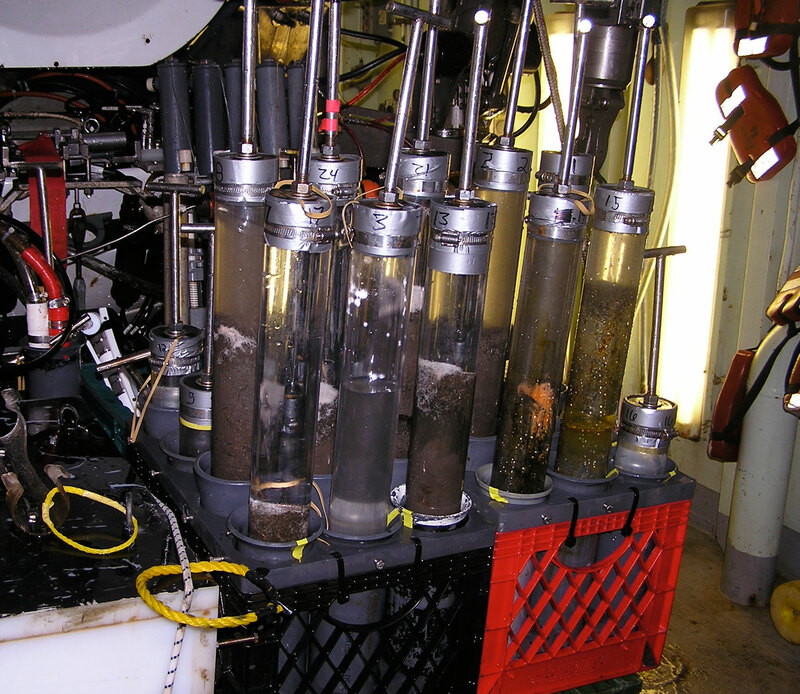 These instruments are commonly used to capture water column and hydrothermal vent plume water samples. They seal off the sample and allow it to be brought to the surface without mixing with water from different depths. The water collected by Niskin bottles is used for studying plankton or measuring many physical characteristics such as salinity, dissolved oxygen, nutrient concentrations (such as phosphate, nitrate and nitrite), and dissolved organic and inorganic carbon. One liter PVC bottles mounted in a 5-pack arrangement are standard, and can be triggered individually by the manipulator. The rack is easily removed post-dive for science processing. Water weight is 10 lbs. Overall basket space required is 12" x 18". 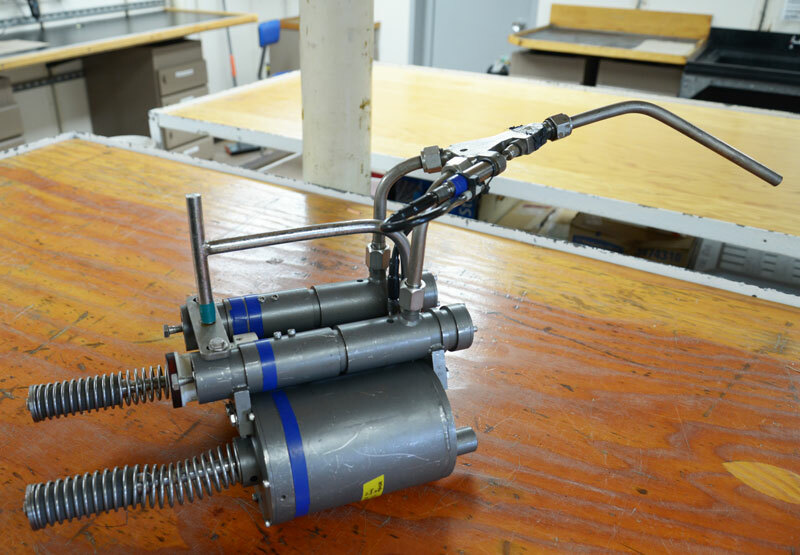 Push corers are soft sediment samplers deployed using a manipulator. They are 2.5" ID by 12" long, utilizing a removable, clear polycarbonate barrel. Commonly stowed in a 3 x 4 rack for a total of 12 corers, Alvin can carry two of these racks for a maximum of 24 corers per dive. Note that carrying this many corers will limit the basket space available for additional science equipment. A total of 48 push corers can be carried if investigators supply another 24 and there are no other basket space requirements. The racks are easily removable for post-dive processing. There are a limited number of core barrels available during any particular leg. Investigators contemplating keeping samples in a collection barrel for post-cruise examination must make arrangements to replace all barrels used. PIs should also be prepared to supply watertight plastic endcaps for any samples taken. Procurement information for these two items can be furnished upon request. Water weight per 3 x 4 rack is 20 lbs; overall basket space required is 12" x 18" per rack. 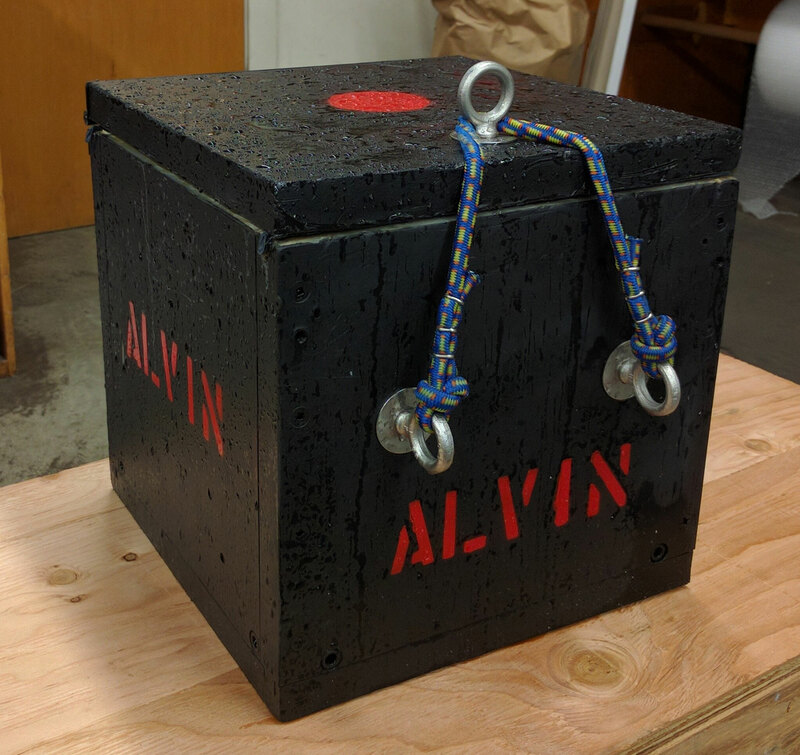 Alvin can be equipped with milk crates fastened to the science basket in order to transport rocks or other bulky items collected using a manipulator. If desired, the milk crates can be divided in order to help distinguish rocks taken from multiple sites. 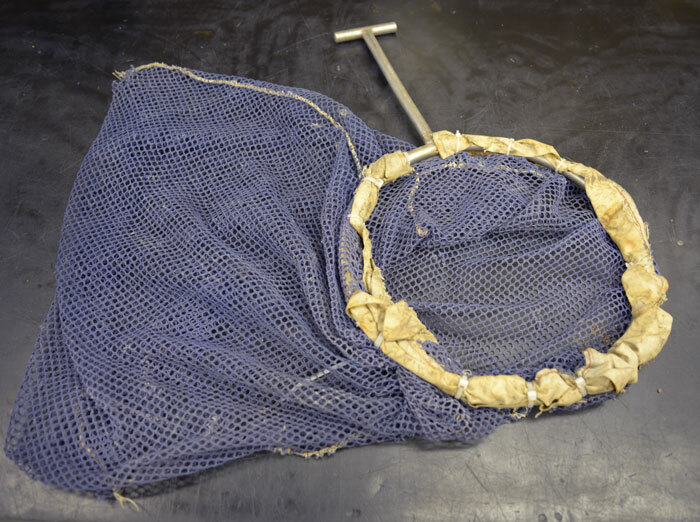 A number of manipulator-deployed scoop sample nets are available in various shapes and sizes. Typically these are rigged with an open 1/4" mesh bag or canvas rock bag and placed in the science basket on a space available basis. Water weight is 2 lbs each. The resistance temperature device (RTD) is capable of measuring water temperature up to 400°C, reporting about one sample per second. The instrument provides 0.01°C resolution and accuracy is 0.02°C. The case is 4” diameter by 6” long, with typical sensor tips ¾” diameter and 12” long. Sensors are manipulator deployable utilizing a T-handle. The instrument can be configured to report temperature from up to four sensors at once, though the time response is greatly decreased. 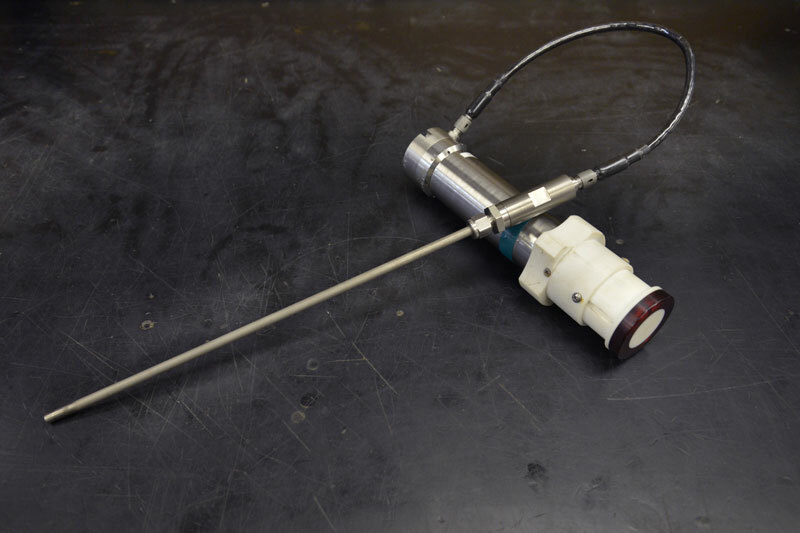 The inductively-coupled link (ICL) temperature probe is a wireless data transfer device most commonly used in conjunction with major water samplers to take real time temperature measurements during sampling. The ICL electronics can also be used for a variety of other data transfer and control functions. The sensor tip of the ICL probe is installed in the inner bore of the water sampler intake nozzle and senses the fluid temperatures as water flows past. 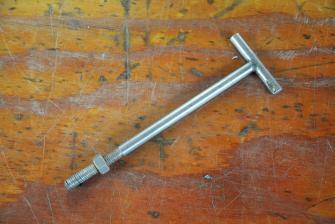 The measurable temperature range of the probe is 0 to 450°C. Data from the probe is normally displayed on the observer's internal video overlays and is additionally recorded in the submersible's computer data files. Water weight (ICL probe only) is 1 lb. An instrument using glass spheres for flotation will be carried to or from the bottom by Alvin provided the spheres are tethered above the instrument at a distance of at least 100 meters. Alvin will move an instrument on the bottom (including limited vertical excursions) provided the flotation spheres are tethered at least 30 meters above the instrument. Alvin will approach a glass sphere on the bottom to within photographic range but will not touch it. The only exception here is the case where Alvin approaches to grasp a trigger or release lanyard which is long enough to allow the submersible to back away a suitable distance before activation. No device may permit, or cause, a direct DC path between any source of Alvin power and the submarine’s hull, frame or seawater. No device connected to through-hull wires may permit any DC path between any through-hull wire and the submarine’s hull, frame or seawater. All devices connected to through-hull wires must provide a DC path from an Alvin power source to all such through-hull wires so that the submarine’s ground detection system can be used to check for inadvertent grounding of through-hull wires. The easiest way to provide this connection is with a resistance of from 0 to 3 Kohms between the instrument’s internal ground and the input power common. Isolated or battery-powered equipment may be used, though it must still adhere to these requirements. NOTE: if grounds are detected on any through-hull conductors, the source of that ground must be identified and that system must be secured for the remainder of the dive. A grounded device will not be allowed back on the submersible until the source of the ground is identified and removed. The hatch opening is 20 inches in diameter; any equipment which users wish to bring on board must be capable of passing through the hatch with its sealing surface protection ring in place, resulting in a working 19” maximum opening. 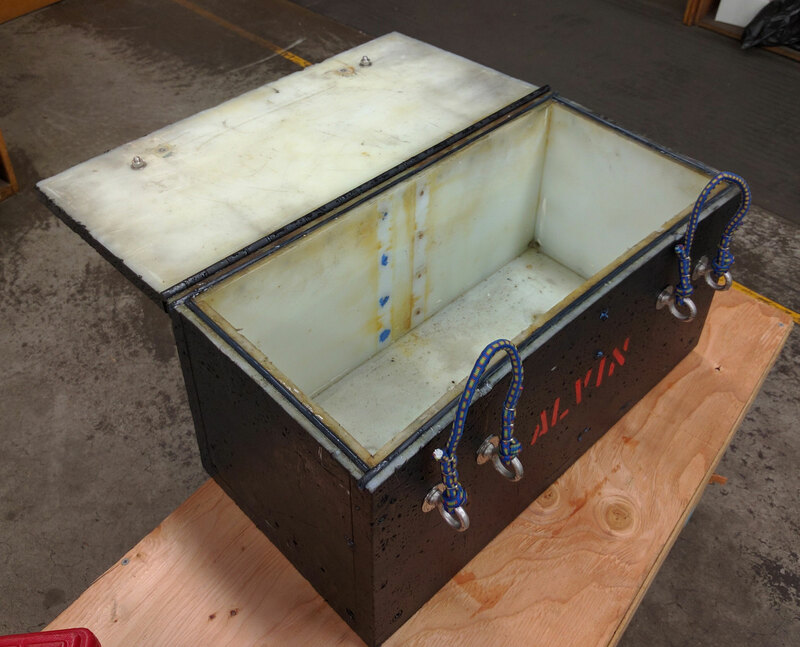 All instrument or other water-tight housings taken to depth are considered potential implodable volumes, and as such must be certified for use on Alvin. Implodable volumes are any pressure housing with a non-compensated compressible gas volume at a pressure below the external ambient sea pressure with a potential to collapse. Either method will be accepted, but it should be noted that use of the computed pressure method limits use of the housing to the corresponding water depth. Leakage or visible signs of external damage shall be cause for test failure. Where several housings of a particular type are to be utilized, each housing shall be pressure tested; i.e., representative testing of one vessel in a series will not be accepted. Each vessel tested must have a unique identification number referenced on all related test documentation. Although pressure test certification for Alvin purposes does not expire, consideration should be given to retesting every five years. The Expedition Leader may refuse to honor a valid certification if he feels the condition of the housing has deteriorated since its last pressure test. Modifications to the housing such as machining, drilling, etc., void a pressure certification and thus the vessel must be tested after any work that could compromise structural integrity. The test chamber pressure recording chart (or copy) and/or statement of test details signed by the chamber operator shall be delivered to the Alvin office at Woods Hole, and a copy shall be delivered to the Expedition Leader aboard Atlantis prior to ship departure and subsequent equipment installation on Alvin. Pressure vessels constructed from certain experimental or unpredictable materials such as glass or ceramics cannot be certified for use with Alvin in the manner described above. In some cases, a design review by Alvin’s U.S. Navy engineering oversight body (NAVSEA) is required (a time-consuming process) and in others, certification is impossible. If in doubt about a particular design, contact the Alvin office. Many user-supplied sampling devices, cameras and sensors are unique, are likely very specialized, and as such may have a higher incidence of problems during a dive series. The Alvin Group strongly recommends that when a science program includes a user-supplied, specialized tool, camera, or sampling device, that sufficient practical spares are available for use in the event of a problem. Examples include spare cabling, o-rings and/or seals, tubing and fittings, valves, power supplies, data interfaces (Moxas) and other critical items that may experience problems or failure during a series. A general rule of thumb is to expect some form of minor equipment issue, and to arrive prepared to respond to the problem with a reasonable complement of sparing and tools. The Alvin Group will provide as much expertise and problem evaluation as possible, and where possible and practical, the Group may be able to provide basic equipment support. But for unique sampling devices it is imperative that critical spares are available. Additionally, the Group recommends that cruise participants bring sufficient ‘dummy’ plugs and caps, capable of protecting sensitive electronic connectors and plugs at depth. 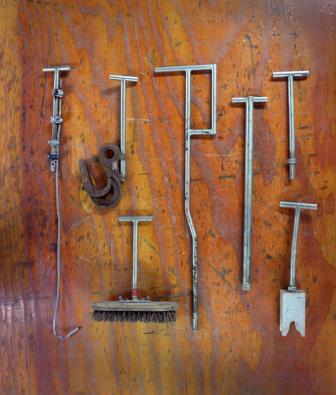 Users should also ensure that they are well equipped with any specialized or unique tools and hardware that are important for the preparation, mounting or support of their equipment. The Alvin Group can provide guidance for spares and tooling as part of the pre-cruise planning process. The jaws of both manipulators are functionally equivalent and consist of opposing overlapping finger pairs. They are specifically designed to grip instruments which are fitted with a standard “T”-handle. The user should align the “T” with the vertical load. The user is cautioned not to assume compatibility between your tools and Alvin’s manipulators, even if the tools are fitted with T-handles. It is best to seek the advice of the Alvin Group on instruments which have not been previously used with the manipulators, regardless of how dependable they may seem. Many biologically and geologically oriented tools, including a variety of pry bars and other rock breaking tools, soft and hard sediment corers, box corers, and current meters have been adapted for use in conjunction with the manipulator jaws and the associated actuator mechanism. The U.S. Naval Sea Systems Command (NAVSEA), Alvin’s certifying agency, requires toxicity and flammability testing of all scientific instrumentation brought into the personnel sphere. The testing consists of a 24-hour, power-on bench segment to record maximum component temperatures, followed by 24 hours in an isolated chamber at 100 °F to measure offgassing. 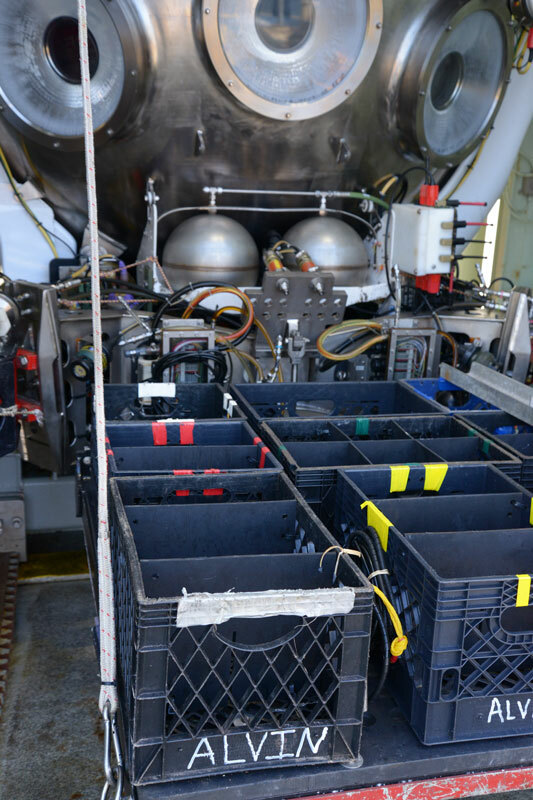 The tests are performed at WHOI and a NAVSEA approved laboratory. 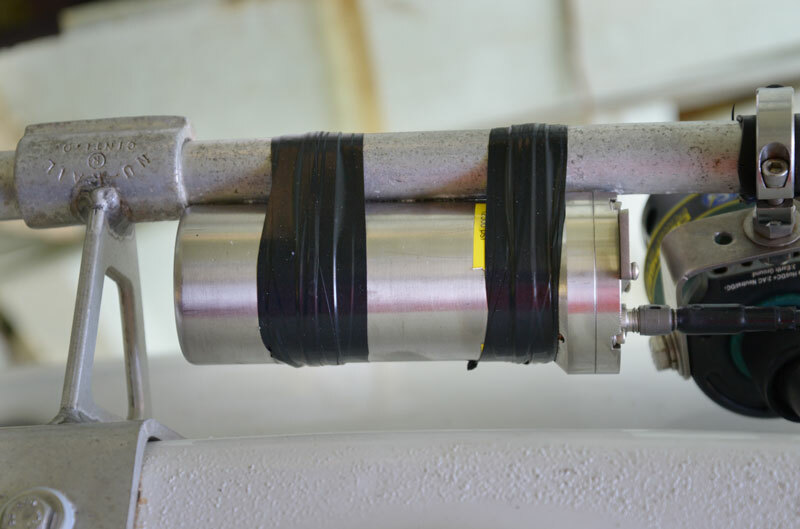 Items are tagged following testing, and a list of tested material is maintained at WHOI so that repeated tests of unmodified instruments will not be required. The Alvin Group calculates the submersible’s payload as a part of the preparation for every dive. Air and water weights of installed user-supplied equipment and sampling tools are included in these calculations. It is important that accurate air and water (buoyancy) measurements are obtained for all science-supplied items intended for use on Alvin and/or deployed platforms (elevators). The Alvin Expedition Leader will request these weights for all science gear at the beginning of each cruise. Although use of a model to calculate air weight and net buoyancy of an assembly is possible, it is much more accurate to obtain air and water weights via empirical means. Air weights may be found via standard means (appropriately sized scale). Buoyancy measurements require that the item be submerged in sea water while measuring the resulting buoyancy. Although not typical, users should be aware that some items may be neutrally or positively buoyant in sea water which could have an impact on use during sampling. These items may be prone to float from the basket and thus require additional consideration. Obtain weight and buoyancy for fully assembled components where possible and fully submerge the items during measurements. To ensure accuracy during measurements, it is important to ensure all equipment air voids and cavities are fully flooded to the extent possible. For larger items, obtaining buoyancy may require the use of a crane and load cell to fully submerge the item in sea water. With prior planning assistance may be available as a part of cruise mobilization (typically the two days prior to departure from port). The Alvin Group can provide additional guidance and assistance as required.